Get a spamster of your own and rid your inbox of unwanted email. 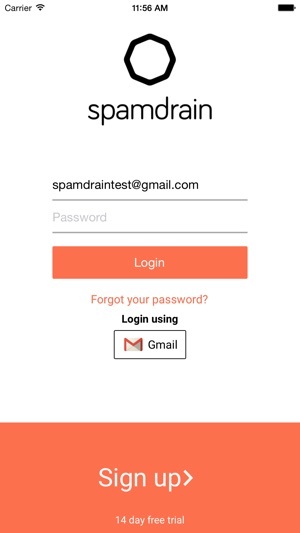 This app allows you to access your Spamdrain account. If you don’t already have an account, you can easily create a 14-day free trial account (no credit card needed) within the application. All you need is subscribe to SpamDrain. Subscribing to Spamdrain means that your email is guarded 24/7 and you don’t need to have the application running for it to work. 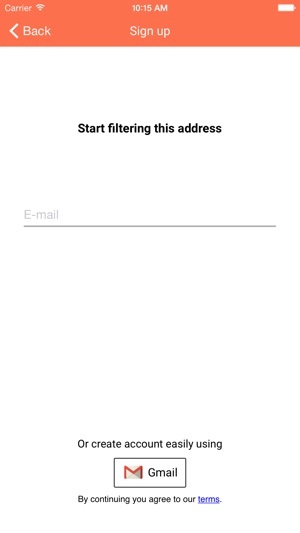 This application gets you started immediately, gives you a tutorial and helps you set up your email for filtering. 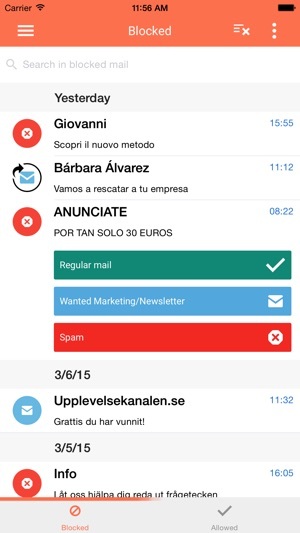 With Spamdrain you get a spamster that cleans your inbox. It’s a special little creature that will learn what email you like and dislike, only letting through email you really want. No junk mail is a reality with SpamDrain. The result is a spam-free inbox and lots of time and frustration saved. 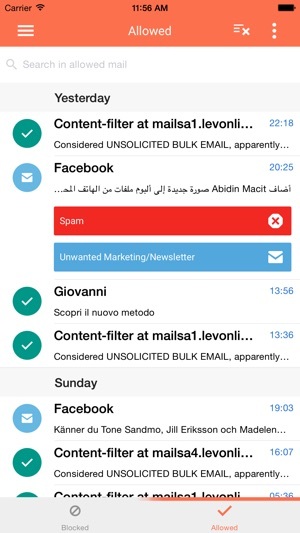 Spamdrain anti-spam cloud service will remove all junk mail before they get to your inbox. So, if you ever asked yourself how to stop junk mail – SpamDrain is the answer. When you’re up and running you will be able to see statistics for your account and report missed spam and newsletters. You can also retrieve blocked messages directly with this app. While this app helps you to setup filtering of your POP3 or IMAP mailbox you may also use SpamDrain for your entire domain, e.g. mycompany.com. SpamDrain will then filter all messages addressed to users of the domain before they reach your email server. Get rid of spam that is harming your email. 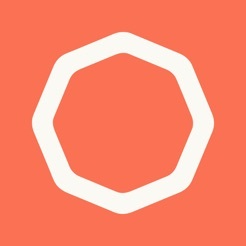 Get Spamdrain if you want to retake control of your inbox. Sign up today and enjoy a clean inbox with nothing but the email you really want. Get rid of junk mail that is bothering and frustrating you! * This app uses In App Purchase subscriptions but they are NOT renewed automatically. You will need to make sure to renew before your subscription period comes to an end. SpamDrain Basic is priced per protected address at $27.99/year. SpamDrain+ is priced per protected e-mail address $34.99/year. SpamDrain+ lets you add multiple users, enables domain level filtering and includes great personal support. This app didn’t block any spam at all. It only blocks my regular mail. All the things I want it blocks and it clogs my email worth hundreds of spam mail. Not useful at all I can’t get rid of it either. 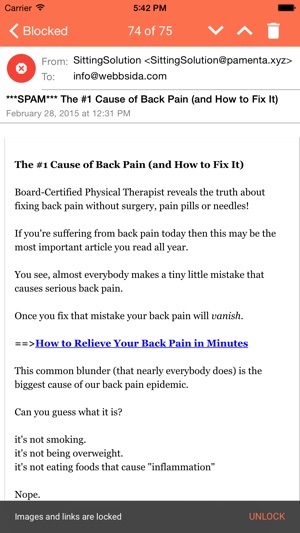 It’s a scam!! Please do not hesitate to check the tutorial, help desk articles or contact support if there are any issues with the service. The application is not free, it's a 30 day trial, and it failed to stop any junkmail. I feel better with this app.